October 5, 2016 - Taipei Taiwan - GlacialTech, the global LED lighting technology innovator, has launched the new Igloo SS80 PLUS, a heatsink-cooled lighting unit rated for CoB or MCPCB LEDs of up to 150 W, and supporting up to three independently-angled LED modules. 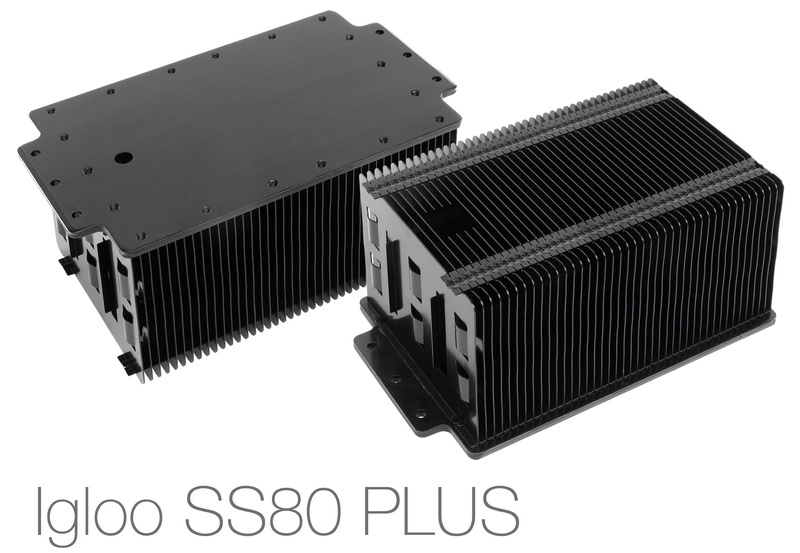 This product builds on the successful Igloo SS80 design, by raising the height to 100 mm to increase the maximum reference design power and reduce thermal resistance to only 0.4019°C/W – preventing LEDs from overheating with thermally efficient, large-surface area heatsinks. 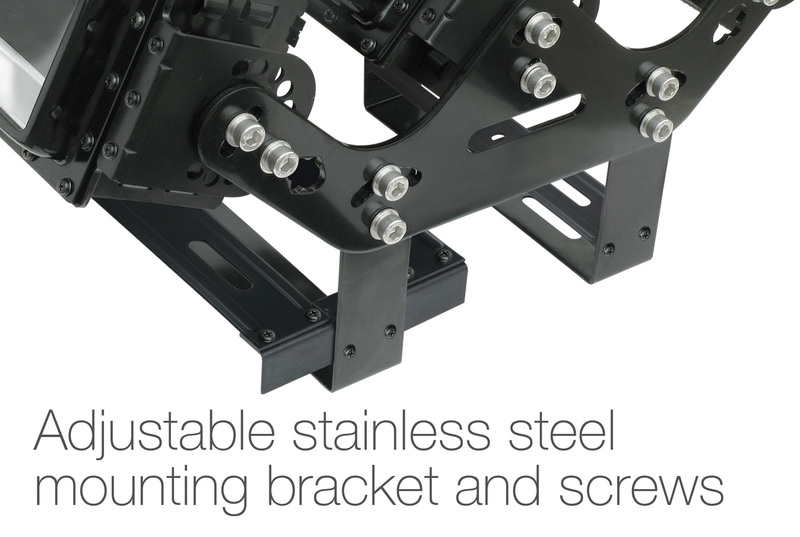 The dual attachment brackets hold the unit rock-steady in strong winds and other disturbances, providing support and stability for the triple LED configuration, and ensuring the unit will remain safely and securely attached even in challenging locations. In addition, the Igloo SS80 PLUS is particularly suited for demanding outdoor environments, with an IP65 rating to for its built-in protection from water and dust intrusion. A waterproof LED cover is available, which is also suitable for outdoor applications. A tough, attractive black anode surface treatment also helps ensure this is a long-lasting product that blends unobtrusively into any location. The Igloo SS80 PLUS thermal module is available as a semi-knock down (SKD) kit that includes adjustable stainless steel mounting rotation bracket and screws, heatsink module, and optional LED lens or waterproof cover. There is a reflector option, and a glass lens is available to accommodate CoB LEDs. The installer and end-user can design their own lighting environment with bright, directional lighting for safety and security, and enhanced staff and visitor comfort – by simply taking advantage of the many possible configurations and adjustable angles.